The town of Vostok is a prosperous dwarven mining community nestled in the foothills of the Five Kings Mountains on the border of Andoran. The town is owned and operated by representatives of the Prophecies of Kalistrade in Druma, however profits from the mine are shared equally with the dwarven holds of the Five Kings as part of the town's founding arrangement. The Vostok mine is primarily silver, though intermittent veins of tin and copper have sprung up from time to time over the mine's five decades of use. 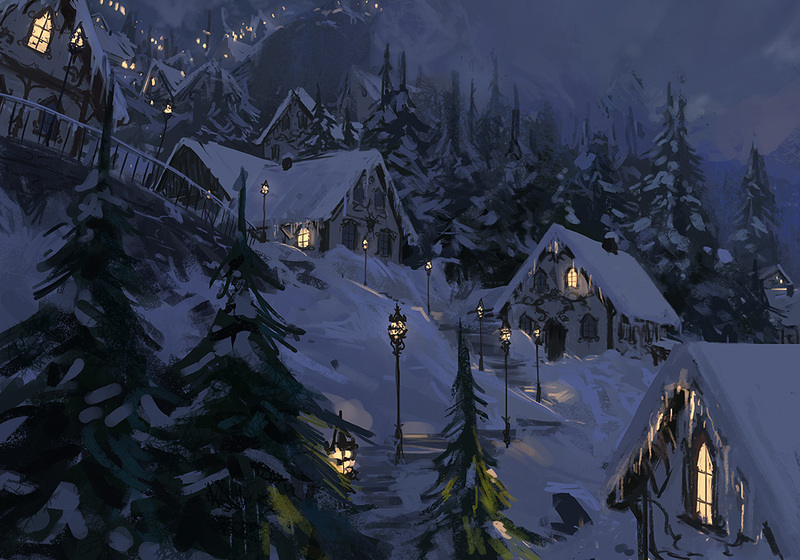 Vostok was originally a hunter camp, founded in 4686 by dwarven hunters seeking game across the Andoran border. When silver ore was discovered in the Vostok river near the town's foothills a mine quickly sprang up around the few lodges that had been built. The oldest building in Vostok, the Bald Stag, was built on the foundations of the original hunting lodge and serves as a waypoint for travelers crossing the Five Kings heading to Druma and Andoran. Legends claim the mountains high above Vostok are haunted and most locals don't ascend higher than Vostok's elevation. A discovery in 4741 by an Andoran Eagle Knight expedition appears to have unearthed a series of subterranean ruins that pockmark the mountain's interior. A local tribe of unusually civilized ogres in the region were contacted by the Eagle Knights and appear to be acting as protectors of the ruins, warding off any would-be explorers from the area. Local scholars believe that the ruin may be of Azlanti origin, possibly the fabled Anen-Prezscha, the sky tomb.